Here we go for more Epic knowledge about Gamification! Now drawing attention upon serious games and ARGs that are becoming so popular, does the type of motivation applied change? And what do you think that happens when something is gamified, and all of a sudden, it stops being like that? Ok, well. Here we are talking about two different concepts – serious games and gamification. They are slightly different. A serious game has gameplay and a virtual world (of some kind), gamification does not, it is the use of game thinking applied to non game “things”. With serious games you are trying to achieve a goal by getting people engaged in the game. Often the experience is fun for the user, though not always! For serious games to work out, they need to actually be made like normal games. The budget may be smaller, but if you don’t have game designers working on serious games, they have a real chance of being terrible and being rejected by the target audience. They are not a small undertaking – making a good game is really hard, the same can be said for gamified systems! In addition to this, some of the motivations for continuing to play a game or use a gamified system are similar. 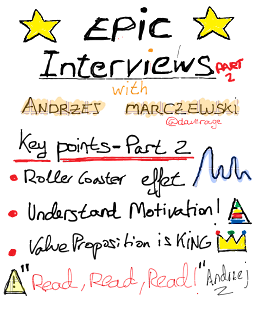 When I speak of intrinsic motivation (Read Andrzej´s blog about it to understand the relationship between pic and text http://marczewski.me.uk/2013/04/06/motivation-lets-get-real-for-a-moment/), I tend to combine the ones used by Deci and Dan Pink. Autonomy, Mastery, Purpose and Relatedness. All of these can be found either on their own or in combination in all successful games AND gamified systems. Without them, all you are left with is the extrinsic rewards we have spoken about already. Whilst these can keep you entertained for a short time, there is no long term future for them in isolation. Take FourSquare. The concept was born from a platform called Dodgeball. This was a location based recommendation system. You texted where you were and it told you things that other people had sent to the system about that place. This was sold to Google who let it die (how unusual for them). However, the idea was sound and one of the founders released FourSquare. At its heart, it was and is still a recommendation system. You check in to a location and get to see all sorts of social information that others have submitted. The difference was that they gamified it. Checking in, leaving tips and reviews etc. earned you points and badges. At the time this was quite new and exciting for many. People loved that they were ousting others as mayor of a town, the little in built competition of this and the leaderboards etc. was fun. A few years down the line and a few million users later, this has begun to change. The shiny badges are less interesting to people, especially long term users. However, the system is still huge – why? Because, it was built on a much deeper experience, a social experience where people are able to help and influence others. 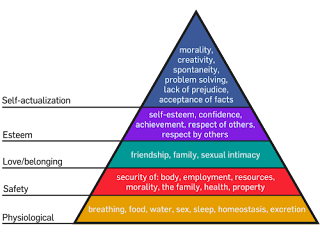 This keys are Purpose and relatedness. Some feel that leaving tips has a purpose (these are philanthropists in my gamification user types), it helps others. For others, the social aspect is really enjoyable (socialisers). The points and the badges are still important, they help people get through the first stages of using the system. 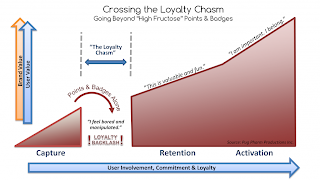 However, FourSqaure have seen the shift in how people want to use the system and have actually begun to bring the recommendation system to the forefront over the badges. They are still there, but they are no longer the focus of the system. Last but not least, and talking about gamification as a new world to explore, what is the next milestone that gamification has to reach and what is its future in the long term? Wow, that’s a big question. People will get tired of everything they do having leaderboards and points etc – it will no longer have any impact. This is evolution. Look at how games have evolved. New mechanics and ideas are added all of the time, the goal being to engage users with the newest game. If games never changed, no one would buy them, otherwise we would all still be playing space war, space invaders and pong! The thing is, that is not easy. Games designers (the really good ones), have to come up with new ways to combine ideas, repackage them and invent new ones. This is the only way to push games out there that will truly capture audiences. Yes, we get stuck sometimes – look at the Call of Duty series. Whilst there have been changes to the way certain aspects of the game look and feel, there have been no major core changes to the way it actually works. You still have to shoot people and not get shot in return. That is pretty much the same as Space Invaders or Galaxian! What is interesting is that this seems to be reaching a critical mass as well. No longer are Call of Duty games winning big awards. Look at this year’s BAFTA game awards and GDC Choice awards. Journey won loads of awards and Call of Duty got nothing. Why? Because Journey was something new, something no one had experienced before and players loved it. Sure, Call of Duty made millions and will keep doing so, but it is interesting to watch it reaching the peak of its popularity. The same is true for gamification. The current bread of mainstream gamification is fast coming to its critical mass. 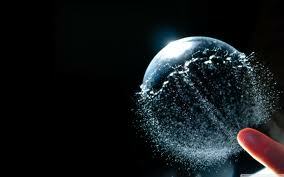 Soon this bubble will burst. What will be left are the people who tried to do more than the basics. They ones who tried to engage users at a core intrinsic level, rather than just an extrinsic shiny level. Only the ones who did something a little different will survive. Of course the other stuff will still be around, but people will be looking for the next big thing in gamification. So what are your key points Andrzej? Gamification is powerful, beginning to prove its worth and here to stay in one form or another. Anyone who is learning about it needs to look at what is really working, which projects have had sustained success. Ignore the projects that say they had a 200% increase in engagement in the first month of releasing the gamified version of their product. Concentrate instead on the ones who had a sustained 50% or even 10% increase in engagement 1 year after launch, 2 years after launch and more. Read about motivation, read Dan Pink (@danielpink), read Deci and Ryan, read books on gamification and game design. It will all help you to understand what can be done. Don’t be blinkered by the definitions of gamification, even mine! 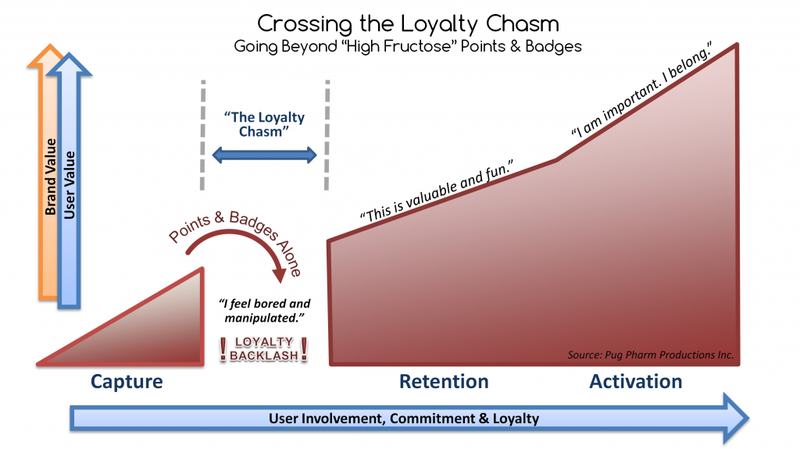 If you are you will miss out on opportunities to create better experiences for people – pure gamification may not always be the best solution. Consider serious games, simulations, gameful design etc. Also consider that gamification may not be the first answer. Bad user experiences are often made worse with gamification, sometimes you have to fix that first. Gamification is not a plaster for a broken system. The value proposition of a business keeps on being the most important thing. Most of all, listen to people and really hear what they are saying, not what you want to hear. If they are not getting it – why? It is easy to say it is because they just don’t understand your vision. But, is that because you have visualised and presented your vision poorly, or is your vision even right for the users you are trying to help? Because, as Andrzej says... "Content is King, even in Gamification!" It was an excellent interview. Thank you Victor and Andrzej! 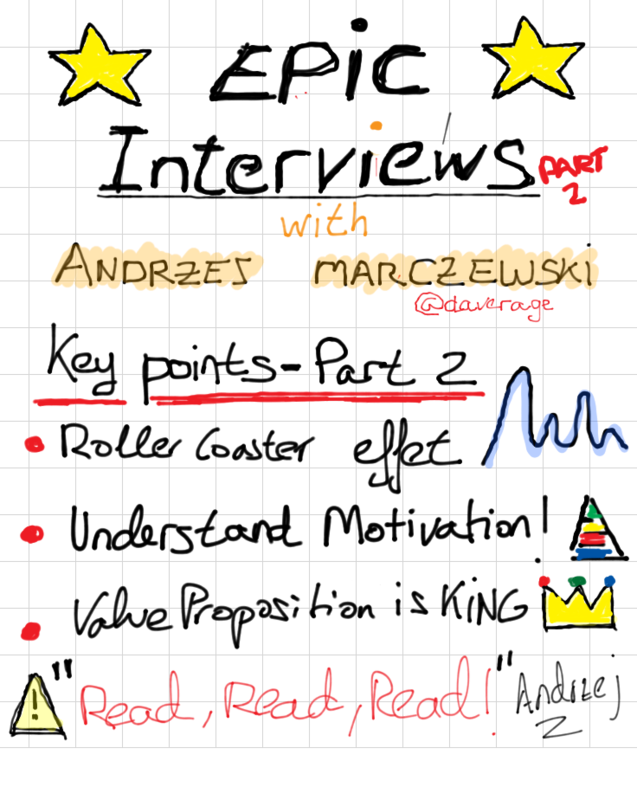 I'd like to ask to Andrzej which is, in his opinion, the biggest obstacle to gamify the classroom and make it as addictive as the good games are? Also, what is his opinion about the game elements that are being used in Khan Academy? Are they enough the maintain students engagement in the long run? Thank you so much to clarify some of gamification key aspects to us. There are a couple of issues gamifying the classroom. The biggest is ability! Kids in the classroom play massive AAA games, with amazing graphics and more. You can't replicate that in the classroom without massive investment. Try that route and you may just look a bit foolish! However, there are a lot of things people can do and are doing. Switching from traditional "I stand here and you take notes" to "Let's interact and learn together" is the biggest! The Khan Academy has loads of tricks up its sleave. The core is a solid learning platform. A student can go on, do work, unlock extra work and track their progress and achievemtns in real time. They can also interact with other students and teachers. They get to do it in their own way, learning how best suits them. If you look at my RAMP for motivaiton, I talk about Relatedness, Autonomy, Mastery and Purpose. Khan hits all of those to some extent before you even look a the points and badges! It is socail, it gives you choice on how you learn, it teaches you new things and you are able to help others or as a teacher create new and interactive learning materials that will help others! Some people think all you have to do is bring PBL's to the classroom and you're right. They think that it will do all the magic but at the end they really look foolish in front of the kids. Yesterday I saw your RAMP for motivation at G+ and I like very much the way you condense valuable information in images. I'm also reading your blog and I must say that is awesome, with valuable content and great insights. I'm a huge fan of Khan Academy and how it's changing the way we teach and learn. The world has changed substantially but when you look at a classroom it's not that different from a classroom in the 80's or even maybe in the 60's. We still have a long way to go. Andrzej, thank you so much for your answers. Thank you for asking them. Just for fun, here is a post I did about my school and how we used to be sort of gamified! !